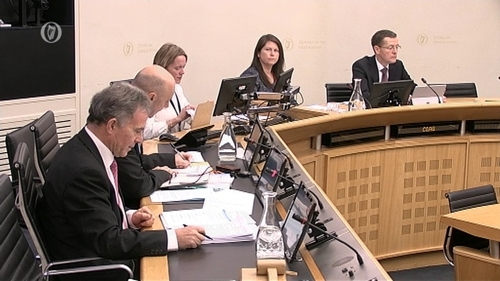 The State Claims Agency expects to make over 100 payments of over €10m each to settle medical negligence claims, the Public Accounts Committee has heard. The 113 payments, that are expected to cost the taxpayer approximately €1.4bn, have been described as "staggering" by PAC chairperson Sean Fleming. He said: "The figures we are talking about here today are the figures the State Claims Agency has put their valuation on as to what they expect these cases to be settled for... They are their valuations as to how they think these claims might work out." The PAC had asked the SCA for a breakdown of claims they expected to settle ahead of today's meeting. Reading out figures provided by the SCA, Mr Fleming said: "They tell us that they expect to settle 2,954 cases on their books for under €1m. "They expect to settle 207 claims for between €1m and €4m. They expect to settle 91 claims in the region of between €4m and €10m and 113 cases for in excess of €10m each." The PAC plans to look into these figures at a future meeting as the issue of medical negligence is "a major bill" and Mr Fleming said: "The less medical negligence, the more money the HSE has for its work in the health service and building hospitals." In relation to the more than 100 cases that are each expected to cost in excess of €10m each, the information provided to the PAC by the SCA shows that ten of those cases are in the Dublin/North East Hospital group; 17 of them are in the Dublin/Midlands Hospital group; ten of those cases are in the Ireland East Hospital Group; 22 of the cases are in the South/South West Hospital Group; 29 of those cases are in the Saolta (North West) Hospital Group; 14 of those are in the Mid-West Hospital Group: and five are in the Children's Hospital Group. The PAC chairman asked if there are any cases out there where a medical professional is connected with more than one case. SCA Director Ciarán Breen said that there have been very few occasions where the agency has had to take an issue up with a hospital chief executive about a particular hospital practitioner. "That's not to say that we haven't. We have and where we have done that, a hospital addresses the issue." Mr Fleming said the information about the medical negligence claims is provided by hospital group and asked if a breakdown of the individual hospitals could be provided. Mr Breen outlined some of the reasons why the SCA do not break down the data on a hospital-by-hospital basis. He said the NHS in Britain also gives a breakdown by hospital group. Mr Breen said: "Claims and claims analysis not necessarily a good measure of quality because you have case mix, demographics, size of hospital, some hospitals take on very hard cases so therefore you would expect to see rates of claim higher; maternity units have higher incidences of compensation." He said that the SCA also needs to protect against the wrong perception about a hospital and its practitioners. Dr Colm Henry, Chief Clinical Officer with the HSE outlined that you are not comparing like with like when comparing hospitals. He said: "If you take somebody who is a specialist in stroke for example, who does a thrombectomy where they remove the clot from a stroke. They are going to attract more complex cases and more difficult cases." Mr Fleming expressed concerns that so much of taxpayers' money is paid out annually for medical negligence and the PAC would prefer if that money was going into hospitals. The SCA's Legal Costs Unit handles costs claims in respect of litigation against the State and State Authorities/Agencies. The agency is currently managing 10,909 claims and the total estimated liability for is €3.2bn.